Homework is used to support children’s work at school and to develop the good habit of independent learning outside the school environment. Teachers carefully match the quantity and difficulty of the homework to each child’s age and ability. Homework will include learning information or doing an exercise that reinforces a concept learned in school. We appreciate parents’ support in encouraging your child to complete homework regularly to a high standard and return it to school on time. 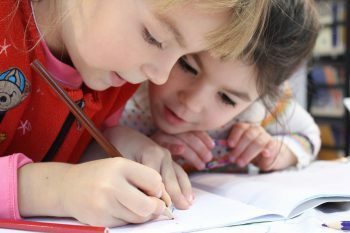 Parents are encouraged to make an appointment to see their child’s teacher if they need advice on supporting their child with homework, or have any queries regarding it. We also ask that parents read with their children for at least 10 minutes each day. The use of a Reading Diary and/or Learning Log (depending on your child’s age) will also help parents and teachers to communicate easily and support your child’s learning beyond the classroom.